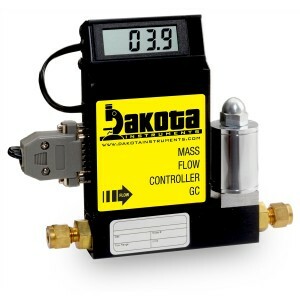 Dakota offers a wide variety of flow meters, pumps and valves along with the related accessories you require for your applications. 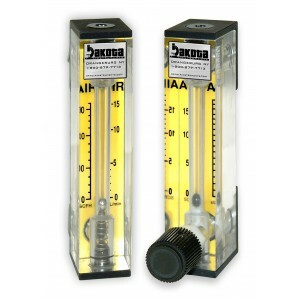 These compact, durable flow meter units are injection molded of heat and chemical resistant Polysulfone. They feature Quik Loc (half union) connectors that couple the meter body to the pipe connectors at each end of the flow meter. These meters are designed with curved connections for easy panel mounting. With connections of 3/8" MNPT or 1/2" MNPT, the 6B0101 has a fluid flow range of 0.025 GPM to 10 GPM. 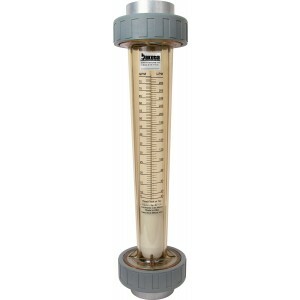 These compact, durable flow meter units are injection molded of heat and chemical resistant Polysulfone. They feature curved Quik Loc (half union) connectors that easily couple the meter body to the pipe connectors at each end of the flow meter. Designed to be Panel Mounted. With connections of 3/8" MNPT or 1/2" MNPT, the 6B0102 has a fluid flow range of 0.025 GPM to 10 GPM. The 6B02 series flow meters offer a tough injection molded Polysulfone meter body, corrosion and wear resistant internal parts, easy to read silk screened scales, good accuracy and repeatability and an excellent price! 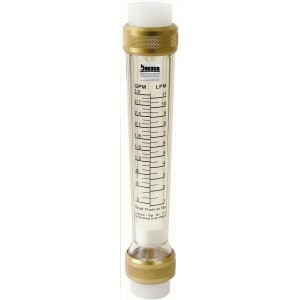 This flow meter is designed for panel mounting. 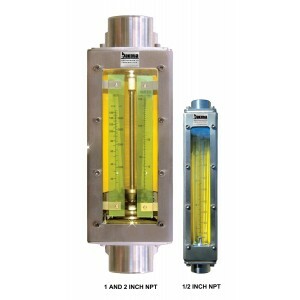 With brass connections of 3/8"or 1/2" MNPT/FNPT, the 6B02 line has a liquid flow range of 0.1 GPM to 10 GPM (0.4 LPM to 40 LPM). The 6B02 series flow meters offer a tough injection molded Polysulfone meter body, corrosion and wear resistant internal parts, easy to read silk screened scales, good accuracy and repeatability and an excellent price! 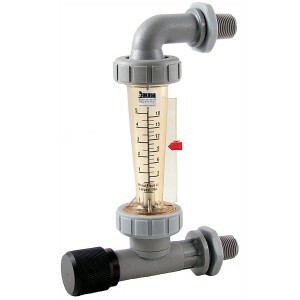 This flow meter has an adjustable valve and is designed for panel mounting. With connections of 3/8"or 1/2" MNPT/FNPT, the 6B02 line has a liquid flow range of 0.1 GPM to 10 GPM (0.4 LPM to 40 LPM). 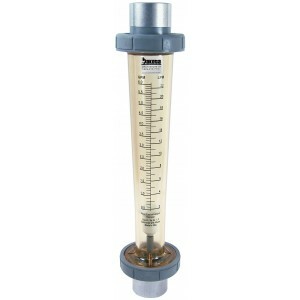 The 6B05 series flow meter's rib guided polysulfone contains no metal in the fluid path. 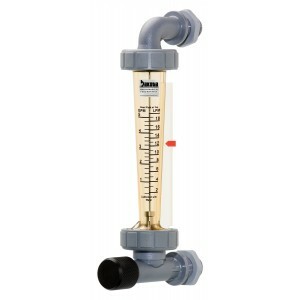 This makes the flow meter desirable in highly corrosive environments or deionized water applications. The 6B0500-PVC is equipped with 1/2" or 3/4" FNPT Adapters. 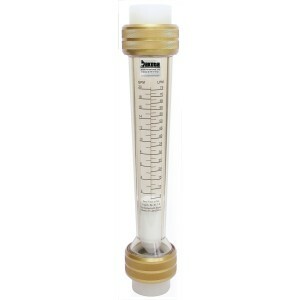 The 6B05 series flow meter's rib guided polysulfone contains no metal in the fluid path. This makes the flow meter desirable in highly corrosive environments or deionized water applications. The 6B0501-PVDF is equipped with 1/2" or 3/4" PVDF FNPT Adapters. 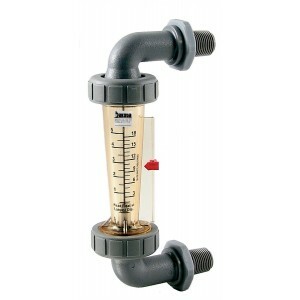 The 6B05 series flow meter's rib guided polysulfone contains no metal in the fluid path. 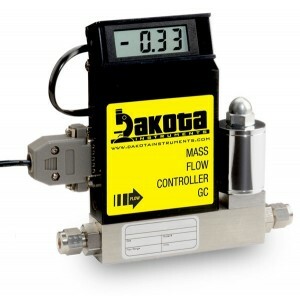 This makes the flow meter desirable in highly corrosive environments or deionized water applications. The 6B0502-Poly is equipped with 1/2" or 3/4" Socket Fusion Polypropylene Adapters. 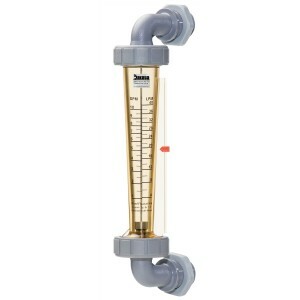 The 6B05 series flow meter's rib guided polysulfone contains no metal in the fluid path. 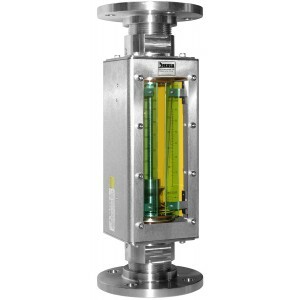 This makes the flow meter desirable in highly corrosive environments or deionized water applications. The 6B0503-PVC is equipped with 1/2" or 3/4" Socket Fusion PVDF Adapters.